The hot, dry weather has sapped surface moisture pretty well in parts of the state, which is affecting ease of planting and soybean emergence. 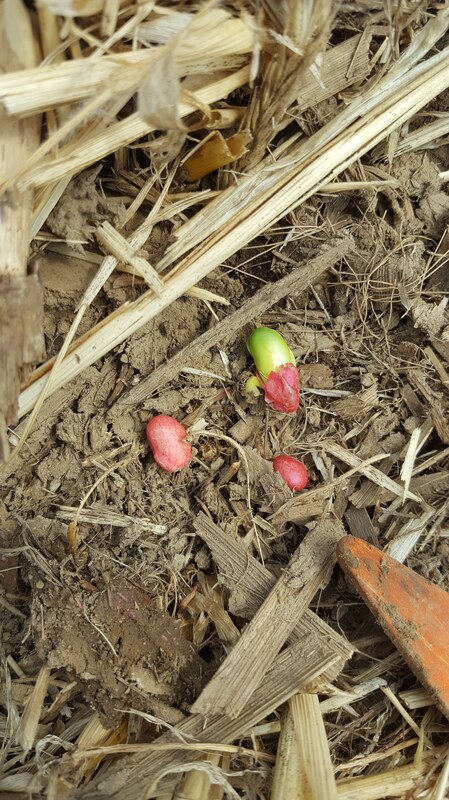 Soybeans planted this week were subjected to harder ground, and drier conditions which will make emergence more spotty initially until the field gets rain. I checked a few fields in Jackson which has missed significant rain for several days now, and depending on the field, soybean seed planted deeper than an inch on Monday had enough moisture to swell the seed or beyond, but still may not have enough moisture to get the job done without a rain. Seed planted slightly deeper to moisture are faring best. Our high biomass cover crop field is holding moisture better where we terminated and rolled prior to planting. 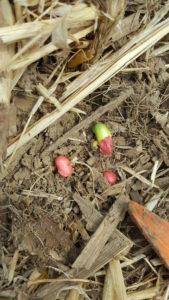 Seed that have swelled or have an emerged radicle or cotyledons can ‘wait’ on a rain for a week or two as long as soil temperatures are not excessive. With rain chances in the forecast for several days, hopefully all fields will get at least a shower out of this current weather system.